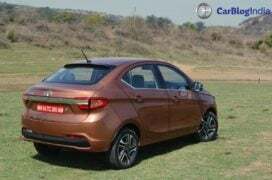 If you compare Spec for spec, the Tigor costs around 90,000 Rupees more than the Tiago hatchback. Starting price of Tigor Petrol is Rs. 4.70 lakh and that of Tigor Diesel is Rs. 5.60 lakh. However, unlike the Tiago, the Tigor is not available in the XB trim. Currently, the Tiago petrol range starts at Rs. 3.24 lakh while the diesel variants are priced Rs. 3.99 lakh onwards. Both cars share engine and transmission options. Petrol variants get a 1.2 L unit that puts out 84 bhp and 114 Nm while the diesel variants draw power from a 1.05 L 69 bhp engine. 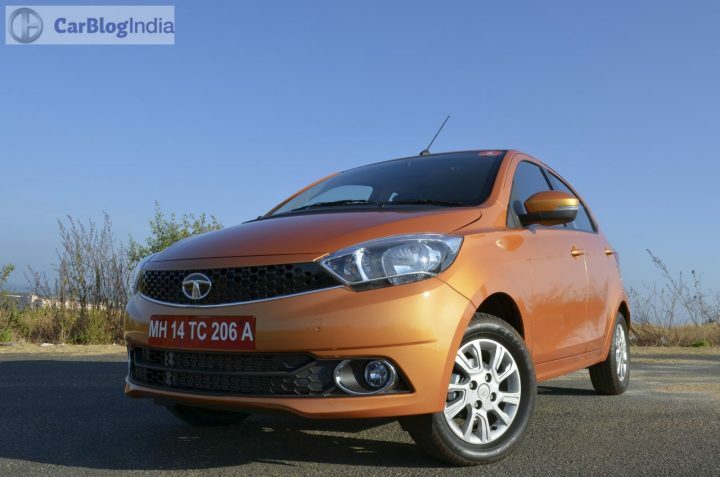 Tata also provides the Tiago petrol with a 5-speed AMT unit. Eventually, the 5-speed AMT will also make it to the Tigor sedan. 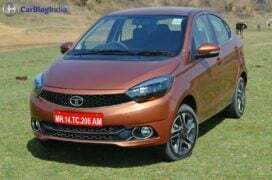 Tata is claiming an overall fuel efficiency of 27.28 kpl for the diesel variants of the Tiago. Petrol variants, according to official ARAI figures, return close to 24 KMPL overall. Expect the Tigor to be almost as fuel efficient, at least on paper. Quite obviously, the Tigor is longer than the Tiago. It is also slightly wider. The Tigor has a bigger boot and petrol variants get bigger 15 inch rims. Most of the features list of the Tigor are the same as that of the Tiago. However, top end variants of the compact sedan get more features. These include automatic climate control, a bigger touch enabled display for the AVN, etc. Both cars are identical in terms of design until the B-pillar. The front end styling is more or less the same. However, the Tigor gets double barrel headlamps with projector units and black inserts. Overall, the Tigor boasts a notchback shape instead of a conventional three-box profile. It features split tail lamps with LED detailing. The rear bumper gets black inserts lower down that house the reflector units. Much like the front end of both cars, the cabin of the Tigor and Tiago is also nearly identical. The Tigor even retains the dark colour scheme of the Tiago. However, the Tigor does get some additional features such as a bigger display for the AVN and auto aircon. The Tigor is just what Tata needs to further expand its market share. On paper, it boasts the same qualities as the Tiago with the added bonus of a bigger boot. It might just make a lot of sense to spend extra money for the Tigor. Specifications – Engine and transmission options are identical. 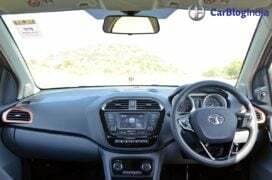 Both cars get a 1.05 L Diesel and 1.2 L petrol with a 5-speed manual transmission. Features – Tigor gets additional features such as auto aircon, touchscreen, etc. 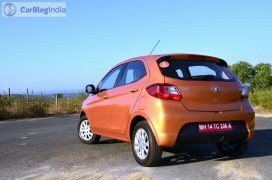 Design – Tata seems to have done a great job of integrating a boot into the Tiago’s design. 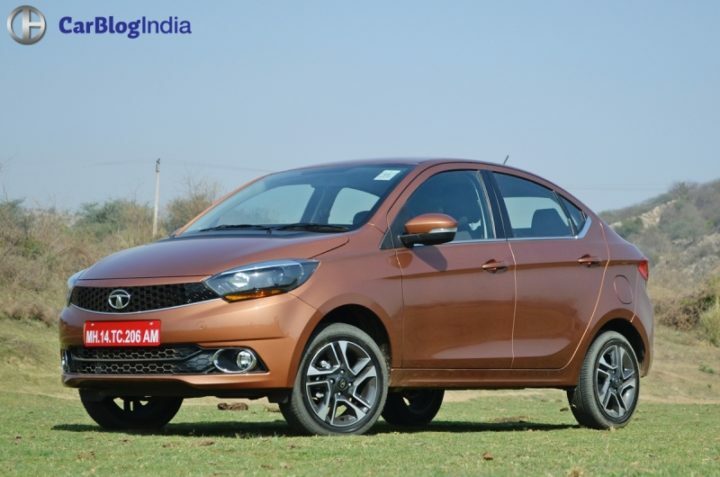 What do you think of our Tata Tigor vs Tiago comparison? Do let us know in the comments section below. Stay tuned to Car Blog India for more updates on the Tata Tigor vs Tata Tiago comparison. 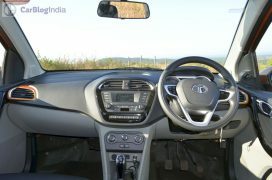 Also, don’t forget to check out our review of the new Tata Tigor.